Cancer treatments may temporarily reduce a woman’s ability to become pregnant, but the effects are variable. Many cancer treatments may cause harm or death to a developing fetus if exposure occurs during pregnancy. 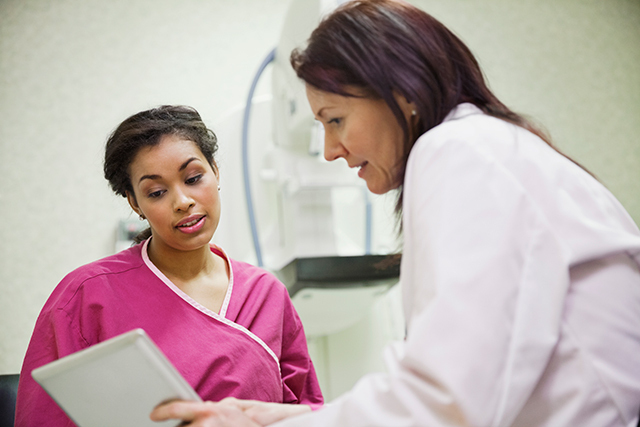 Although cancer treatments may temporarily reduce a woman’s ability to become pregnant, these effects are variable and should not be relied upon to prevent pregnancy. One important step is counseling the patient about the risks if she were to become pregnant while receiving chemotherapy. These include potential harm to the fetus as well as the mother (eg, providers may not be able to perform all necessary imaging; certain medications are contraindicated during pregnancy). Depending on the treatment elected, birth control requirements may be quite strict. Some clinical trials require patients to use 2 methods of birth control during treatment and to continue birth control use for months after the completion of treatment. Patient-specific factors such as cancer type, past medical history, religious beliefs and personal preferences should also be taken into account. For example, hormonal contraceptive products may need to be avoided in a patient with an estrogen sensitive breast cancer. Consultation with a gynecologist may be helpful. The National Comprehensive Cancer Network (NCCN) recommends that these conversations (as well as discussion of fertility preservation options, if desired) occur prior to the initiation of cancer treatment. This information should be documented in the medical record, as well as included in any informed consents. Should a pregnancy test be required prior to starting treatment? Is there a certain time frame that this result should be noted? For example, some institutions require that the negative pregnancy test be within 72 hours before the patient’s treatment. Should a pregnancy test be required at regular intervals during treatment? Practices vary between institutions, with some checking prior to each dose of chemotherapy and others checking at less frequent intervals or not at all. What method of testing should be used? Notably, serum HCG tests are more sensitive than urine HCG tests. How should women of childbearing potential be identified? Age, history of sterilizing surgeries (eg, hysterectomy), and menstrual status should be taken into account. Are there any systems or process alerts that can be used to ensure the agreed upon testing is performed?